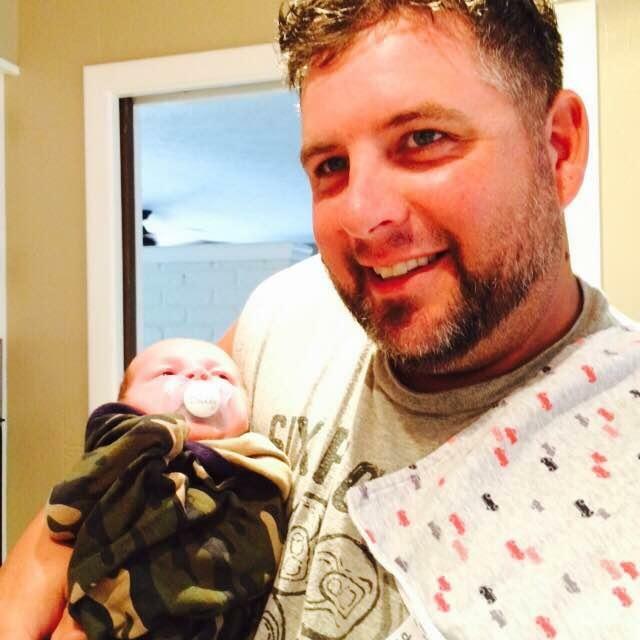 Lance Ryan McCaw, 39 of Panama City, Florida, passed away on December 5th, 2016 in Camilla, Georgia. Lance was an avid pilot since the age of 13 and was employed with Key Lime Air for the past 15 years. On December 5, 2016, about 2222 eastern standard time, a Fairchild SA-227AC, N765FA, operating as Key Lime Air flight 308 (LYM308), was destroyed following an in-flight breakup near Camilla, Georgia. The airline transport pilot was fatally injured. 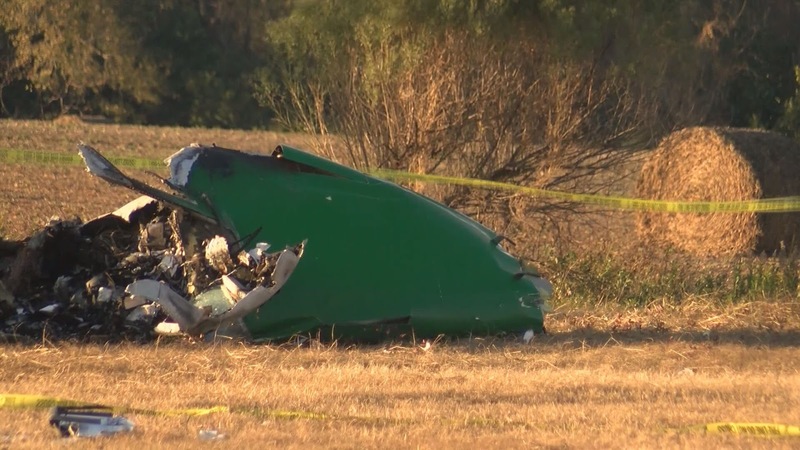 The airplane was registered to CBG LLC., and operated by Key Lime Air as an on-demand cargo flight conducted under the provisions of Title 14 Code of Federal Regulations Part 135. Night instrument meteorological conditions prevailed, and an instrument flight rules flight plan was filed. The flight originated about 2154 from Northwest Florida Beaches International Airport (ECP), Panama City, Florida, and was destined for Southwest Georgia Regional Airport (ABY), Albany, Georgia. About 1 hour before the scheduled departure time of 2130, the pilot completed a routine check-in call with the Key Lime Air flight follower assigned to cargo flights, who was one of two flight followers working the night of the accident at the operator's headquarters and dispatch office in Englewood, Colorado; the departure time and weather conditions were discussed. According to the cargo flight follower, the pilot told him that he was "holding on the ground" for convective activity that was "extreme" and had "tornado activity." The pilot delayed the departure to continue to evaluate the weather conditions along his route. According to an email from the other flight follower on-duty in the dispatch office, about 2140, the customer (UPS) called the operator's dispatch office, wanting to confirm that flight LYM308 would depart, noting if it didn't depart soon, the cargo would "not make service." About 2 minutes later, the other flight follower, who was not assigned to the cargo flights, called the pilot, informing him that UPS had called the dispatch office to ask whether the flight was going to depart. According to this non-cargo flight follower, the pilot explained that he would be departing immediately and would try to fly the clear weather corridor extending northeast toward ABY. The pilot added that if he couldn't get through the storms to his left, he would make Tallahassee International Airport (TLH), Tallahassee, Florida, his alternate. The flight departed about 12 minutes later at 2154.
Review of air traffic control (ATC) voice communication transcripts provided by the Federal Aviation Administration (FAA) revealed that, at 2215, the air traffic controller working the flight, who was located at the Jacksonville Air Route Traffic Control Center, advised the pilot of a "ragged line of moderate, heavy, and extreme precipitation" along his planned route of flight to ABY. The air traffic controller also stated, "I don't show any breaks [in the weather]." The controller then cleared the pilot to descend at his discretion from 7,000 ft mean sea level (msl) to 3,000 ft msl. Subsequently, the air traffic controller suggested a route of flight that would have required a diversion to the northeast for 70 nautical miles to avoid the most severe weather. The pilot responded that he had enough fuel for such a diversion but that he would "see what the radar is painting" after completing the descent to 3,000 ft msl. About 1 minute 30 seconds later, at 2218, during the airplane's descent from 7,000 ft msl to 3,000 ft msl, the air traffic controller stated, "I just lost you on radar, I don't show a transponder, it might have to do with the weather." About 40 seconds later, the pilot advised the controller that he intended to deviate to the right of the course, and the air traffic controller told the pilot that he could turn left and right as needed. Shortly thereafter, the pilot stated, "we're going to turn back around to Tallahassee." 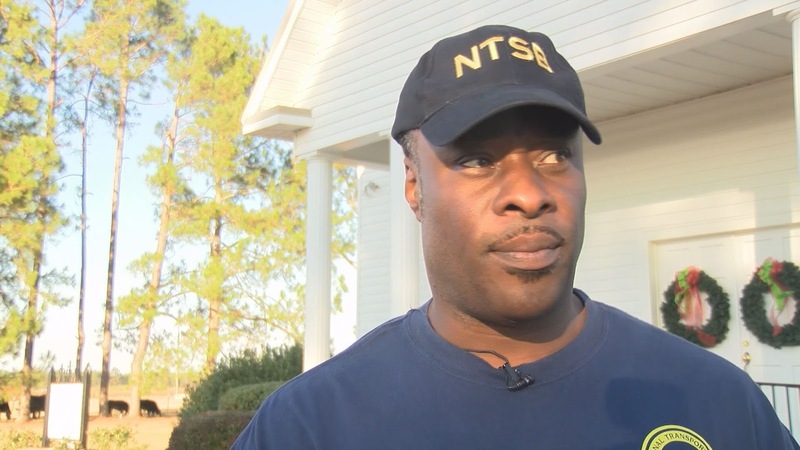 The air traffic controller cleared the pilot direct to TLH and instructed him to maintain 3,000 ft msl. The pilot responded, "present position direct Tallahassee and we'll try to maintain 3,000 here." The air traffic controller then stated, "do you want to climb back up? I can offer you any altitude," and the pilot responded, "we'll see if we can get it up to about 3,000." The air traffic controller then recommended a heading of 180° to "get you clear of the weather quicker," and the pilot responded with "alright 180." There were no further communications from the pilot. About 2220, radar data showed the airplane enter a right turn that continued through about 540° before radar contact was lost at 2222:24. Throughout the final turn, the airplane's reported altitude was near 3,500 ft. A computational study of the airplane's radar track revealed that its calibrated airspeed varied between 198 and 130 knots, with estimated bank angles between 40 and 50°. The airplane's calculated load factor for this radar-recorded portion of the flight was about 1.3g. Lance McCaw and his newborn son, Wyatt. The pilot reported at his most recent medical examination on September 29, 2016, that his total flight experience was 11,133 hours. The pilot's training record began with a satisfactory initial pilot-in-command Part 135 airman competency/proficiency check for the SA-227 airplane, which was completed on November 3, 2008. His most recent Part 135 airman competency/proficiency check was completed on June 29, 2016, in an SA-227AC airplane. According to the company record, the June 2016 check met the requirements of 14 CFR 135.293 (initial and recurrent pilot testing), 135.297 (instrument proficiency), and 135.299 (pilot in command: line checks: routes and airports). From 2008 to 2016, the records revealed no unsatisfactory competency/proficiency checks. The records indicated that the pilot was qualified and current to act as pilot-in-command for the flight. According to the operator, since 2008, the pilot's primary flight assignment was to operate the single-pilot cargo flight between ECP and ABY (LYM308) and the return flight from ABY to ECP. He was the sole Key Lime Air pilot based at ECP. The flight was scheduled to depart every weekday, Monday through Friday, at 2130 EST. Upon arrival at ABY, the pilot would typically spend the night at the airport and return to flight duty at 0730 to complete the return flight. According to the pilot's flight duty record, his most recent flight duty ended on December 3, 2016, at 0830. The pilot was off-duty until he checked in with Key Lime Air Dispatch about 1 hour before the accident flight. The airplane was manufactured in 1990 and was a twin-engine, propeller-driven, low-wing, pressurized airplane originally equipped to carry 19 passengers. The airplane was of all metal construction, had a cruciform tail, and was equipped with a retractable tricycle landing gear system. The airplane was powered by two Honeywell turboshaft model TPE331-11U-611 engines and had a maximum takeoff weight of 16,000 lbs. The airplane was 59.35 ft long, had a wingspan of 57 ft and a tail height of 16.66 ft, and was configured to carry only cargo. A review of copies of maintenance logbook records showed a continuous airworthiness inspection was completed on September 16, 2016. At the time of inspection, the recorded airframe time was 23,233.2 total hours. When the accident occurred, the airplane had flown 63 hours since that inspection. The National Weather Service (NWS) surface analysis chart for 2200 depicted a low-pressure system over Louisiana at 1004 hectopascals (hPa). The low-pressure system was located along a frontal wave with a cold front extending southward into the Gulf of Mexico and a stationary front extending eastward along the Gulf coast into the Florida panhandle and southern Georgia then into the Atlantic Ocean. A high-pressure system at 1020 hPa was located over North Carolina. The stationary front was depicted over the flight route and near the accident site. The station models generally depicted an easterly wind flow north of the stationary front and southerly winds south of the front. However, the station models in the immediate area surrounding the accident site showed a cyclonic or counterclockwise wind flow pattern suggesting that a low-pressure area was developing along the stationary front. The surrounding stations also reported moderate to heavy rain and thunderstorms. The station model for Albany, Georgia, reported wind from the north about 10 knots, moderate rain, overcast cloud cover, and a temperature and dew point of 60° Fahrenheit (F). To the south of the front over the Florida panhandle, southerly winds of 10 to 15 knots were indicated with temperatures and dew points in the 70s. The NWS national composite radar image archive for 2220 showed that the accident site was located along the leading edge of a line of convection with reflectivities ranging from 50 to 60 decibels (dBZ) immediately west of the site. The line extended from the Gulf of Mexico immediately west of Panama City, Florida, northeastward to the cities of Albany, Vidalia, and Statesboro, and then eastward through Savannah, Georgia, and into the Atlantic. Other, more scattered or less organized areas of echoes were located across northern Florida, south and east of Tallahassee, to the west of Jacksonville, and into southeastern Georgia. A narrow corridor clear of echoes extended from Panama City to Tallahassee to Moultrie, Georgia. This corridor was located immediately east of the accident site. The NWS Storm Prediction Center (SPC) graphic convective outlook issued at 2000 depicted where organized thunderstorms were expected to develop and the potential for severe thunderstorms during the period. The chart depicted a slight risk of severe thunderstorms over extreme southeast Louisiana and Mississippi, southern Alabama, southwest Georgia, and the Florida panhandle, which included the accident site. A marginal risk of thunderstorms surrounded the area and included southern Alabama and Georgia and northern Florida. The slight-risk area implied that an area of organized scattered severe storms was possible, with either short-lived and/or not widespread, isolated intense storms possible. It also implied that one or more tornadoes, reports of intense winds, and 1-inch and possible 2-inch hail were expected within the designated area. The automated special observation at ABY at 2221 included wind from 090° at 13 knots, visibility 8 statute miles in rain, clouds scattered at 2,600 ft agl and broken at 12,000 ft agl, temperature and dewpoint 16°C, and altimeter 29.81 inches of mercury. The automated special observation at TLH at 2234 included wind from 190° at 16 knots, visibility 10 statute miles in rain, clouds broken at 800 ft agl and overcast at 1,200 ft agl, temperature 24°C, dewpoint 23°C, and altimeter 29.93 inches of mercury. The closest Weather Surveillance Radar-1988, Doppler (WSR-88D) to the accident site was from the NWS Tallahassee (KTLH) location about 50 miles south of the accident site. Based on the radar height calculations, the 0.5° elevation scan depicted the conditions encompassing the altitudes between 1,960 to 7,000 ft during the minutes of the flight prior to the accident. This was determined to be the most representative of the conditions encountered during the period associated with the accident (for more information see the Meteorology Group Chairman's Factual Report contained in the public docket for this investigation). The KTLH WSR-88D base reflectivity image for the 0.5° elevation scan at 2221:47 (see Figure 1) showed the accident flight as it tracked along the leading edge of a line of heavy-intensity echoes, and operating in echoes of 5 to 20 dBZ, or light intensity precipitation. The next base reflectivity image for the 0.5° elevation scan at 2228:12 showed rapidly-developing echoes over the preceding flight track (which ended at 2222:24 in the vicinity of the accident site), with intensities of up to 43.5 dBZ or heavy-intensity precipitation. Figure 1 - WSR-88D 0.5° base reflectivity image at 2221:47 (left) and 2228:12 (right) with radar-derived flight track overlaid (white dots). The base reflectivity image for the 0.5° elevation scan at 2234:39 continued to show echoes increasing in intensity over the accident site with reflectivity values between 40 and 52 dBZ, or heavy to extreme intensity. Several small bowing segments were also indicated to the southwest. The KTLH WSR-88D echo tops product for 2221 and 2228 showed echo tops near 30,000 to 35,000 ft over the last four minutes along the flight track and the accident site, with echo tops to 45,000 ft immediately west of the accident site. The accident site was located about 3.4 miles east-southeast of Camilla, Georgia, and wreckage was scattered over a large area that included a cotton field and dense forest. The debris field was about 2,640 ft long and 1,500 ft wide and oriented on a heading of 049° true. The wings outboard of the engine nacelles, wing extensions, empennage, ailerons, and cargo door separated from the airplane during the accident sequence and were located along the debris path leading to the main wreckage. The first components located along the debris field were the outboard sections of both wings, which exhibited damage and paint transfer consistent with contact with the fuselage. Additional components located along the debris path included the empennage and the mid-span portions of both wings. The fuselage came to rest at the end of the debris path beside a residence. The fuselage, cockpit, cabin section, inboard wings, and both engines were damaged by the postcrash fire. The wreckage was recovered and examined at Atlanta Air Salvage's facility in Griffin, Georgia. The examination revealed that the left outboard wing separated from the airplane just outboard of the nacelle, and the left wing tip extension separated from the outboard wing. The leading edge was separated into several pieces. A distinct diagonal crease ran from the leading edge to the trailing edge of the wing, with the portion of wing outboard of the crease deformed upward. The wing structure exhibited substantial twisting and crushing damage in a fore-aft direction. The lower left wing skin was separated into several pieces. The left wing forward upper spar cap remined attached to the outboard wing and the inboard portion was deformed up and aft. The lower forward spar cap was separated from the wing and exhibited S-bending. The left wing rear spar upper spar cap was fractured and the inboard portion was not identified. The lower rear spar cap was fractured. The portion of lower rear spar cap was separated and deformed up and aft. The rear spar cap inboard was not identified. The left aileron was separated from the wing and recovered in three pieces. The left aileron trim tab remained attached to the inboard aileron piece. The left aileron bellcrank and control rods remained attached to the left wing rear spar. The left wing tip extension separated from the left outboard wing. The attach fittings were intact with the bolts installed. The rear spar upper and lower and forward spar lower fittings were pulled from the wing tip extension and the forward spar upper fitting was pulled from the outboard wing. There was a large semi-circular impact impression in the leading edge of the wing tip extension and the leading edge was deformed down and aft in this area. Examination of the right wing revealed the right outboard wing separated from the airplane just outboard of the nacelle and the wing tip extension separated from the outboard wing. All the right outboard wing structure was recovered away from the main wreckage. There was green paint transfer on the upper surface of the right wing and diagonal scratching and gouging on the surfaces. The leading edge remained attached to the right outboard wing but was deformed down and aft. The wing structure exhibited substantial twisting and crushing damage in a fore-aft direction. The lower right wing skin was mostly intact. The inboard most fuel access panel in the aft row (panel 1) was separated but identified and the 9 remaining aft row panels were intact. The 10 panels in the forward row were intact. There was green paint transfer on panels 2 and 3 from the aft row. The right wing upper forward spar cap was separated and deformed up and aft. The lower forward spar cap between was intact and the inboard end exhibited upward deformation. The right wing rear spar was fractured and deformed forward inboard. A portion of right wing rear spar was not identified. The right aileron was separated from the wing and only the inboard portion was recovered. The right aileron trim tab remained attached to the inboard aileron piece. The right aileron bell crank with about 32 inches of the outboard control rod attached was separated from the right wing. The right wing tip extension separated from the right outboard wing. The forward spar upper and lower and rear spar upper attach fittings were intact with the bolts installed and the fittings were pulled from the wing tip extension. The bolt for the lower aft attach fitting was fractured and the fitting was pulled from the wing tip extension but not recovered. Examination of the fuselage revealed that there was significant fire damage to the fuselage and the forward cargo door frame with some areas consumed by fire. The fuselage came to rest at the impact site on its right side and displayed lateral crushing damage. The cargo door separated during the accident sequence and was recovered away from the main wreckage. There was an area of crushing damage, skin fracture, paint transfer, rubber transfer, metal smearing, scratching, and gouging about 2 feet wide running diagonally on the right side, over the top of the fuselage and around the left side to the cargo door. The aft lower corner of the cargo door was deformed outboard with a diagonal crease. The lower portion of the aft cargo door sill was also deformed outboard. The aft lower cargo door click-clack was deformed in an outboard direction with mechanical damage to the receptacle. There was an additional area of crushing damage, skin fracture, paint transfer, rubber transfer, metal smearing, scratching, and gouging about 2 feet wide running diagonally. The flanges for the dorsal fin on the top of the fuselage were flattened to the right. The attach fittings for the pitch trim actuator remained installed on the upper fuselage and the actuator rod ends were installed in the fittings. The rod ends were fractured from the trim actuator. The trim actuator was not recovered. There was a hole cut in the aft fuselage during recovery to retrieve the cockpit voice recorder. There was a bulkhead installed, providing the front wall for an avionics rack in the aft fuselage. The rack and bulkhead sustained lateral crushing damage. There was crushing damage evident on the right side of the bulkhead and rack coincident with the location of the area of external fuselage damage. Examination of the horizontal stabilizers revealed they separated from the airplane during the accident sequence and were recovered away from the main wreckage. The attach fittings for the pitch trim actuator remained installed on the horizontal stabilizer forward spar and the rod ends were installed in the fittings. The rod ends were fractured from the trim actuator. The left horizontal stabilizer was mostly intact but the inboard 12 inches of forward spar was pulled from the structure and remained with the right horizontal stabilizer. There was leading edge crushing in an aft and down direction. The left horizontal stabilizer rear spar displayed signs that it fractured from the structure inboard. A portion of the inboard rear spar remained attached to the pivot fitting on the vertical stabilizer and a section of the rear spar was separated. The left elevator was intact and installed on the horizontal stabilizer between the center and outboard hinges. The portion of the left elevator outboard of the outboard hinge including the counterweight was separated. The inboard portion of the left elevator between the control horn and the center hinge was separated and not recovered. Examination of the right horizontal stabilizer revealed it was mostly intact but damaged. The forward spar was installed on the left side to the right horizontal stabilizer tip. The leading edge was crushed aft and down. There was scratching, gouging, and metal smearing on the upper skin surface and the stabilizer structure was crushed downward. The right horizontal stabilizer forward spar was fractured. There was a small area of red paint transfer on the upper leading edge. The right horizontal stabilizer rear spar was separated from the structure inboard. A portion of the inboard right rear spar remained attached to the pivot fitting on the vertical stabilizer. The right elevator was separated from the stabilizer. The inboard elevator between the control horn and the center hinge was recovered. The elevator from the center hinge to the outboard end including the counterweight was not recovered. The empennage, vertical stabilizer, and rudder were recovered in several pieces away from the main wreckage. The lower 65 inches of vertical stabilizer forward spar remained attached to the fuselage canted bulkhead and the bulkhead was pulled from the fuselage along the rivet line. The horizontal stabilizer pivot fitting remained attached to the vertical stabilizer forward spar. About 29 inches of the right horizontal stabilizer rear spar and about 20 inches of the left horizontal stabilizer rear spar remained attached to the pivot fitting. The upper end of the vertical stabilizer forward spar was deformed aft near vertical stabilizer. The vertical stabilizer dorsal fin from the top of the fuselage was crushed, deformed, and fractured aft ward into the vertical stabilizer forward spar. The vertical stabilizer leading edge was crushed aft. The fuselage/empennage structure was mostly intact. The lower fuselage skin was fractured along the ventral fin and the fin was separated. Two segments of the ventral fin were recovered. The vertical stabilizer without the forward spar was attached to the empennage along with portions of the rudder. Most of the elevator control horn remained captured in the vertical stabilizer but the pivot point control arms were fractured and remained installed on the aft side of the horizontal stabilizer pivot fitting. The upper vertical stabilizer and rudder were separated into many pieces and recovered away from the main wreckage. There was a semicircular impact impression on a section of the vertical stabilizer and rudder. The vertical stabilizer rear spar was deformed aft and was fractured. A section of the center portion of the rudder was separated and had a distinct impact impression on the leading edge. The upper portion of the rudder above was separated and the rudder counterweight was separated from the rudder. The upper portion of the vertical stabilizer was separated. The vertical stabilizer tip cap was separated. All the fracture surfaces examined had a dull, grainy appearance consistent with overstress separation. There was no evidence of pre-existing cracking noted at any of the separation points. The left engine was laying on its right side and was located on the left side of the fuselage. The right side of the engine was impact damaged. The engine was still within the left nacelle and remained attached to the left wing support structure. Earthen debris was noted on the air inlet surfaces to the engine. When viewing the first stage compressor impeller through the air inlet, leading edge damage was observed. Metal spray was noted on the aft side of the third stage turbine nozzle and the aft side of the third stage turbine stator. The third stage turbine rotor could not be rotated by hand. The right engine was separated from the right wing/nacelle and was laying under the fuselage, at a 90° angle to the fuselage, with the front of the engine facing the left engine. The left side of the engine was fire damaged. When viewing the first stage compressor impeller through the air inlet, leading edge damage was observed. Earthen debris was noted on the air inlet surfaces to the engine. Metal spray was noted on the aft side of the third stage turbine rotor. Metal spray was noted on the aft side of the third stage turbine nozzle. The third stage turbine rotor could not be rotated by hand. The left propeller was broken from the engine and laying on the left side of the fuselage next to the left engine. The spinner was crushed on one side. The beta tube was still attached to the propeller assembly but was broken at the oil flow holes on the aft end of the tube. The type and degree of damage observed to the engines and propellers were consistent with both engines being under power and operating at the time of impact. No evidence of pre-existing conditions was found that would have prevented normal operation of either engine. Both propeller assemblies were sent to McCauley for a teardown inspection under Federal Aviation Administration oversite. The two propeller assemblies were label "A" and "B" for purposes of distinction. All the propeller blades from both assemblies were accounted for at the time of the examination. The examination revealed that both propeller assemblies had sudden failure damage as the result of impact. Both the "A" and "B" propellers showed signs of "S" bending and fragmentation. Propeller "B" was separated from the engine drive flange. The examination found no evidence of any fatigue failure or pre-impact malfunction. The airplane was equipped with a Fairchild A-100A cockpit voice recorder (CVR). The exterior of the CVR sustained structural damage. The magnetic tape was retrieved from within the crash-protected case and was successfully read out, with minor distortion audible in limited portions of the 30-minute recording. Timing on the transcript was established by correlating two air traffic control-recorded transmission times to corresponding CVR-recorded transmission times. The recording began when the airplane was on the ground at ECP at 2151. The flight departed ECP at about 2154. A transcript of the CVR can be found in the public docket for this investigation. The transcript began at 2214:45 and continued until the end of the recording at 2222:32. Generally during the recording, the background sound of the engines oscillated, similar to the airplane operating in some degree of turbulence. Sounds of precipitation could not be uniquely identified in the recording. The Division of Forensics Sciences, Georgia Bureau of Investigation, Decatur, Georgia, performed an autopsy on the pilot. The cause of death was multiple blunt force trauma. The FAA's Bioaeronautical Sciences Research Laboratory, Oklahoma City, Oklahoma, performed forensic toxicology on specimens from the pilot with positive results for dextromethorphan. Dextromethorphan is a cough suppressant commonly used in over-the-counter preparations. Key Lime Air held 14 CFR Parts 121 and 135 air operator certificates. According to the company website, Key Lime Air was founded in 1997 and was headquartered in Englewood, Colorado. The operator's technical programs director reported that they employed 35 pilots and operated 30 airplanes at the time of the accident. The operator did not have a formal Title 14 CFR Part 5 safety management system (SMS) implemented at the time of the accident nor were they required to have such a program. The operator's technical programs director reported establishing a "system safety-based program" in 2012. As part of the system safety-based program, the operator's company operation's manual (COM) required a flight risk assessment tool (FRAT) to be completed before every cargo flight. The FRAT was a worksheet that assigned numerical risk values to a variety of conditions that a flight might experience. The FRAT concluded with a total score that placed a flight in a "Go," "Consult," or "Permission Needed" category. According to the COM, a dispatcher or flight follower was required to complete the FRAT, and it was to be preserved for 30 days electronically. During postaccident interviews, the operator's director of operations (DO) reported that a FRAT had not been completed for the accident flight, and in addition, he reported that there was no record that a FRAT had been completed for flight LYM308 in the past 30 days. The DO stated that the failure to complete FRATs for night cargo flights was a "management oversight" and that the management team was not aware that the FRATs were not being completed for night cargo flights. During a postaccident interview, the flight follower who was assigned to the cargo operations the night of accident stated that he did not complete the FRAT for the accident flight. He further stated, "At no point in my initial training or when I started did anyone, or any of my coworkers, or any of my bosses, or anyone in the company, tell me that we were responsible for doing FRATs for any cargo flight at all." According to the other flight follower on-duty the night of the accident, the dispatch office only completed the FRATs for passenger flights, and, to his understanding, FRATs were not required for cargo flights. Investigators completed a FRAT for the accident flight using the known risk conditions based upon the available evidence (See Figure 4, Operations Factual Report, in the docket). The resultant score of 19 would have placed the flight in the "Go" category. The operator's COM had a refusal to fly policy, which stated in part: "If, after consultation, a flight is refused by the pilot, the Director of Operations or Chief Pilot will be contacted by the person completing the FRAT. The refusal will be listed on the Operations Report and in the Notes section of the FRAT tool. The Director of Safety will review all refusals for risk analysis." The COM further stated that Key Lime Air "will not retaliate or take negative action against a pilot who elects not to depart due to clear and justifiable reasons regarding excessive risk associated with the flight." According to the COM, the DO "is authorized to exercise operational control in all aspects of Key Lime Air's operations." The COM further stated that "the Pilot in Command (PIC) is authorized to exercise operational control in all areas allowing the safe completion of each flight to which he/she is assigned." The PIC must obtain and check current and forecast weather for the applicable airports. The PIC will do all flight planning to each flight they are assigned. The PIC must select an alternate airport if applicable for the intended flight. The PIC will load the aircraft within its applicable CG [center of gravity] limits and weight limitations. The PIC will check to make sure the aircraft is in airworthy condition prior to flight. According to the COM, a dispatcher had operational control over scheduling of crews and aircraft and for monitoring the progress of flights. A review of the operations specifications and COM found no requirement for flight followers to release cargo flights, as they did not have operational control over flights. According to the FAA's General Aviation Joint Steering Committee, a pilot's sight, supported by other senses, allows a pilot to maintain orientation while flying. However, when visibility is restricted (i.e., no visual reference to the horizon or surface detected), the body's supporting senses can conflict with what is seen. When this spatial disorientation occurs, sensory conflicts and optical illusions often make it difficult for a pilot to tell which way is up. The FAA Airplane Flying Handbook (FAA-H-8083-3) describes some hazards associated with flying when visual references, such as the ground or horizon, are obscured. The handbook states, "The vestibular sense (motion sensing by the inner ear) in particular tends to confuse the pilot. Because of inertia, the sensory areas of the inner ear cannot detect slight changes in the attitude of the airplane, nor can they accurately sense attitude changes that occur at a uniform rate over a period of time. On the other hand, false sensations are often generated; leading the pilot to believe the attitude of the airplane has changed when in fact, it has not. These false sensations result in the pilot experiencing spatial disorientation." The FAA publication Medical Facts for Pilots (AM-400-03/1), describes several vestibular illusions associated with the operation of aircraft in low visibility conditions. Somatogravic illusions include "the head-up illusion." According to the text, the head-up illusion involves a forward linear acceleration, such as takeoff, where the pilot perceives that the nose of the aircraft is pitching up. The pilot's response to this illusion would be to push the control yoke forward to pitch the nose of the aircraft down. FAA Advisory Circular (AC) 60-22, Aeronautical Decision Making, states, "Pilots, particularly those with considerable experience, as a rule always try to complete a flight as planned, please passengers, meet schedules, and generally demonstrate that they have 'the right stuff'." One of the common behavioral traps that the AC describes is "Get-There-Itis." The text states, "Common among pilots, [get-there-itis] clouds the vision and impairs judgment by causing a fixation on the original goal or destination combined with a total disregard for any alternative course of action." FAA AC-00-6B, Aviation Weather, describes thunderstorms and the turbulence that is associated with them. The AC stated, in part: "Turbulence is present in all thunderstorms. Severe or extreme turbulence is common. Gust loads can be severe enough to stall an aircraft at maneuvering speed or to cause structural damage at cruising speed. The strongest turbulence occurs with shear between updrafts and downdrafts. Outside the cumulonimbus cloud, turbulence has been encountered several thousand feet above, and 20 miles laterally from, a severe storm." Severe: Turbulence that causes large, abrupt changes in altitude and/or attitude. It usually causes large variations in indicated airspeed. Aircraft may be momentarily out of control. Extreme: Turbulence in which the aircraft is violently tossed about and is practically impossible to control. It may cause structural damage. 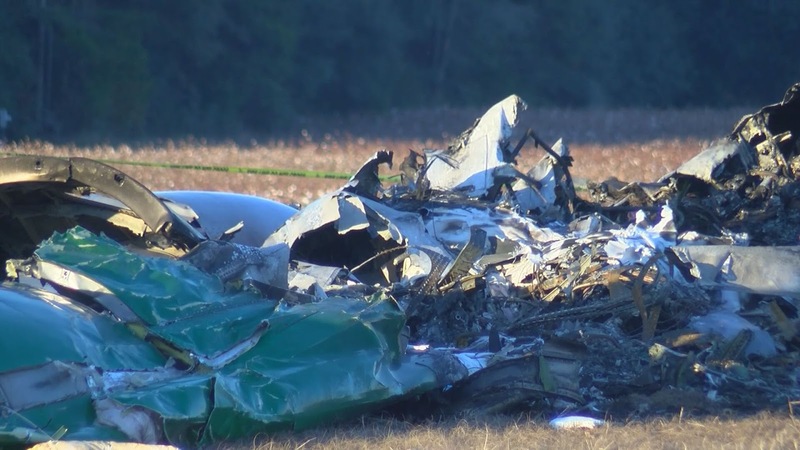 On December 5, 2016, about 2222 eastern standard time, a Fairchild SA227-AC, N765FA, operating as Key Lime Air Flight LYM308, was destroyed during a descent and subsequent inflight breakup near Camilla, Georgia. The airline transport pilot was fatally injured. Night instrument meteorological conditions prevailed and an instrument flight rules flight plan was filed. The flight originated at Northwest Florida Beaches International Airport (ECP) Panama City, Florida and was destined for Southwest Georgia Regional Airport (ABY) Albany, Georgia. The on-demand cargo flight was conducted under the provisions of 14 Code of Federal Regulations Part 135. Prior to the accident flight, the pilot called to check-in with the operator's flight follower, which was common practice. Subsequently, the United Parcel Service (UPS) package delivery driver arrived on-time at the departure airport with the cargo, but the pilot delayed the departure time to evaluate the weather conditions. After evaluating the weather, the pilot decided to depart . Review of preliminary air traffic control voice communication and radar data provided by the Federal Aviation Administration revealed that the air traffic controller advised the pilot of moderate to extreme precipitation along his planned route of flight to ABY, and that that any "breaks" in the weather. Subsequently, the air traffic controller suggested a route of flight that would have had the pilot fly to the northeast for 70 nautical miles to avoid the most severe weather, if he had enough fuel for the diversion. The pilot responded that he did have enough fuel for such a diversion, but concluded that he would "see what the radar is painting" after the descent to 3,000 mean sea level (msl). Shortly thereafter, the pilot advised the controller that he intended to divert the flight to Tallahassee International Airport (TLH) Tallahassee, Florida. The airplane then descended from 7,000 feet msl to 3,700 feet msl before radar and radio contact was lost. The accident airplane was a Fairchild SA227-AC that manufactured in 1990. It was powered by two Honeywell TPE331-11U-611 engines, rated at 1,000 shaft horsepower each, and was equipped with McCauley four-blade, constant speed propellers. 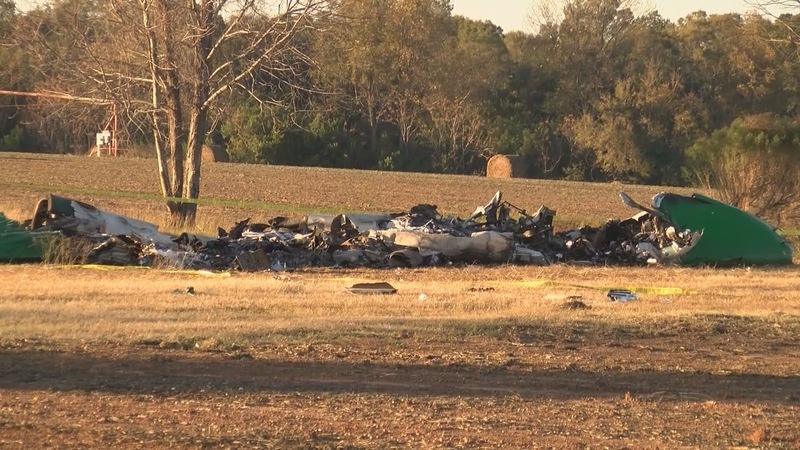 The wreckage was scattered over a large area that included a cotton field and dense forest. The debris field was about 2,640 feet in length and 1,500 feet in width, oriented toward 049 degrees true. The first components located along the debris field were the outboard sections of both wings, which exhibited damage and paint transfer consistent with contact with the fuselage. Additional components located along the debris path included the empennage and the mid-span portions of both wings. The fuselage came to rest at the end of the debris path at the side of a residence. The fuselage, cockpit, cabin section, inboard wings, and both engines were destroyed or damaged by the postcrash fire. The wreckage was recovered from the site and retained for further examination.